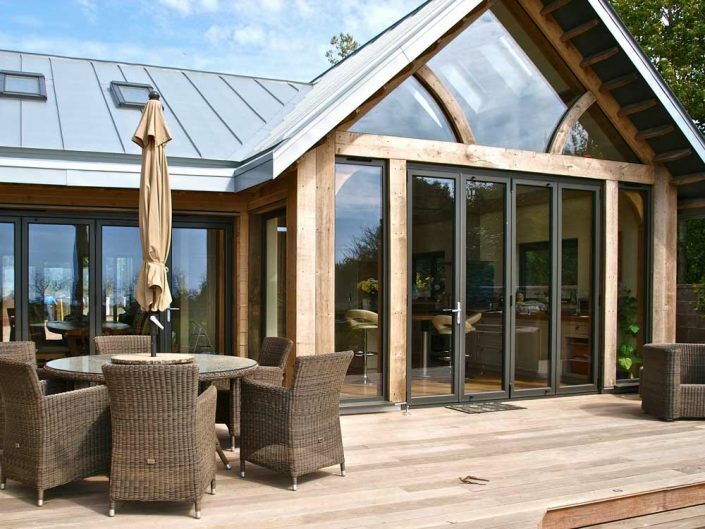 Alphamet Bifolds are the UK’s leading supplier and installers of quality aluminium and hybrid bifold doors. 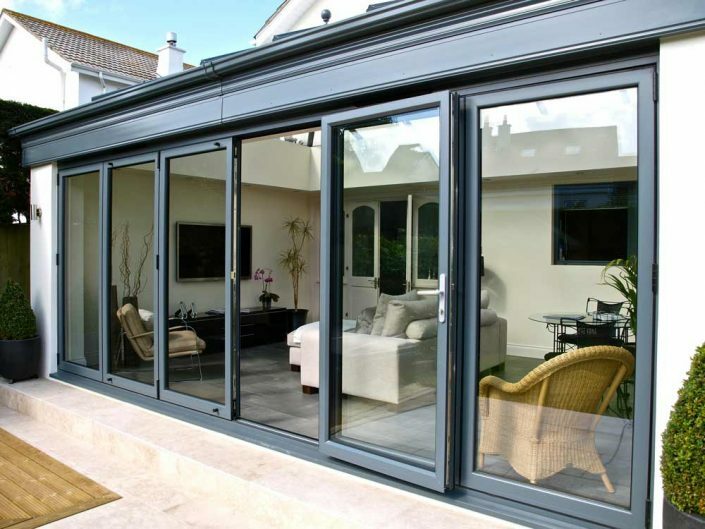 We have installed many bifold doors throughout the UK in to home extensions and as part of new builds. 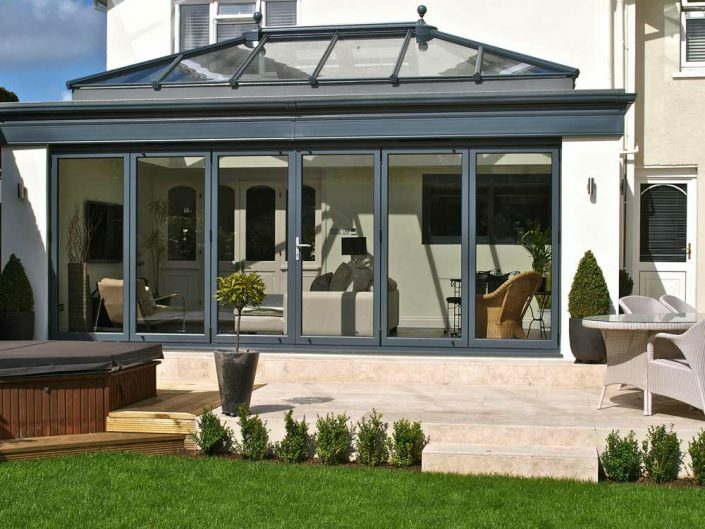 All of our bifold doors come with a peace of mind guarantee which means you get the quality and assurance that your installation will be fitted with perfection by qualified bifold door installers. There are many reasons to choose Alphamet for your next bifold installation. Using the latest in thermal energy efficient technology we can assure your home will stay warm during the winter months and help to keep the interior cool during the summer months. You can even choose solar controlled glass for the south facing gardens that need more control on the glazing. We can colour match your requirements too ensuring that your bifold door frames are matched to suit the rest of your home. 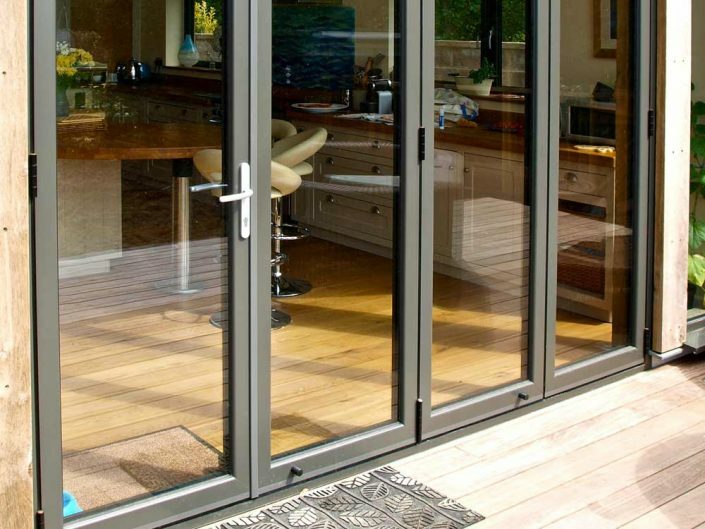 We also guarantee the security of our bifold doors with anti-snap locking mechanisms as well as certified and tested security passed to rigourous testing. Designed for maximum style and performance, PURe®FOLD doors have narrow sightlines to complement our popular PURe® window range and are fully compatible with all Senior windows and curtain walling. 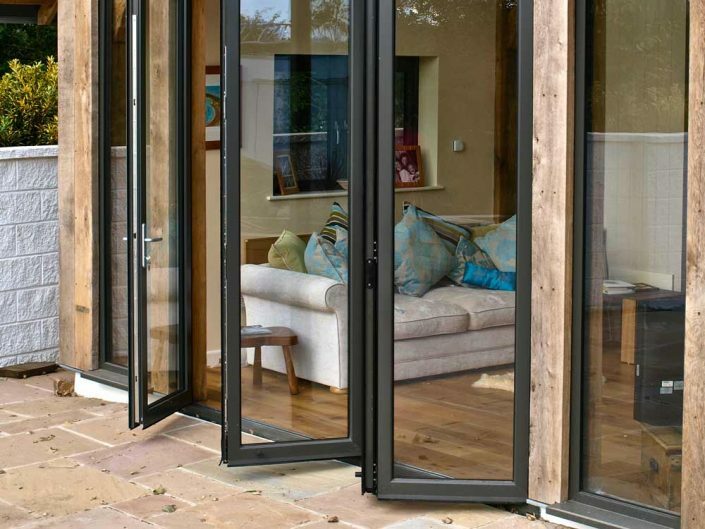 The beauty about our bifold door systems are that they are considerably low maintenance. When it comes to cleaning you can use your stand window cleaning detergents and normal household detergents to wash down the frames. The frames themselves on the exterior are usually brushed aluminium which is very simple to keep clean. Let’s face it, we’re in the UK and we could use all the light we can get into our homes. Bifold doors are a great way of bringing light in to the house and making the home feel brighter and more spacious at the same time. If you want to spend more time in a room, then it’s best that you can maximise the natural light to it and bifold doors are a great way of doing this. Yes bifold doors are pretty fashionable which is a great plus to keep in the mind when you want to upgrade your home, but they are also minimal too meaning that when they are fully opened they fold in on themselves so you hardly know they are there. As bifold doors slide between windows, the window being transparent is not noticeable and therefore and you can have the outside stacking option if your room is too small to house. For all garden lovers, to be able to open your home to the elements is a great natural and healthy way to live. 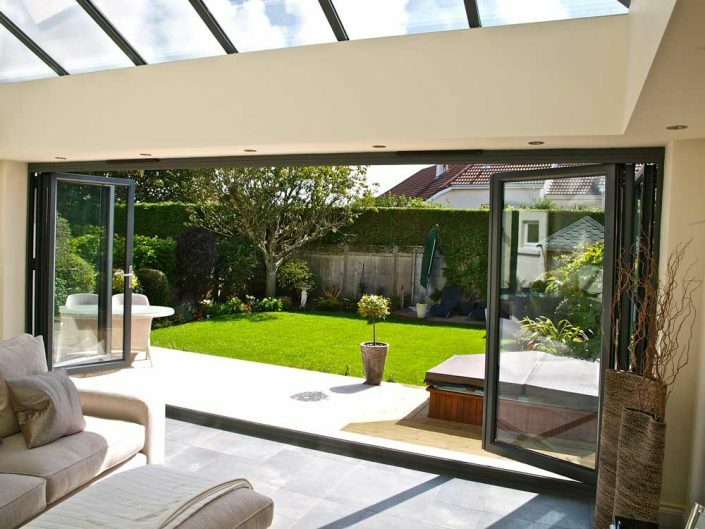 In the summer months to be able to pull the doors back and be in your kitchen or room and feel like you are in the outdoors is a pretty special feeling and one that Alphamet Bifolds can help achieve with minimal fuss.